Will Vaccine Law Repeal Make It On The Ballot? 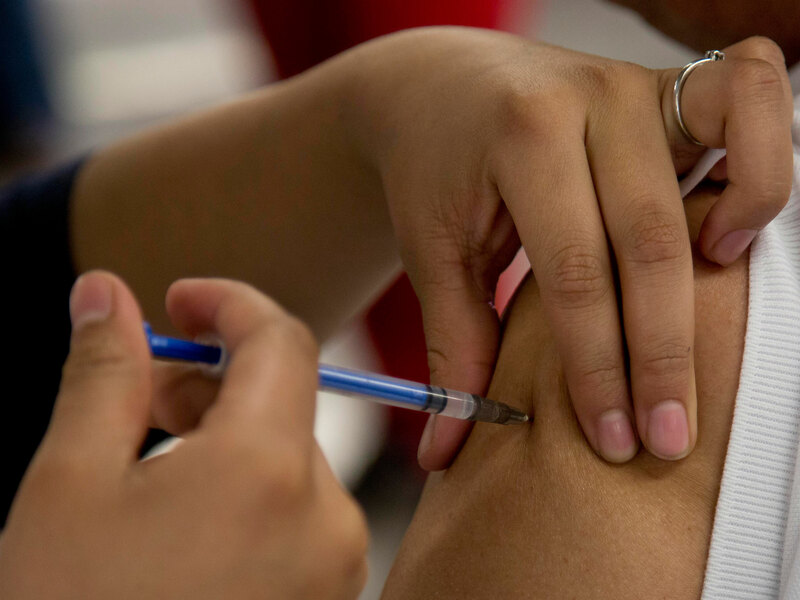 California election officials have 30 days to determine whether a referendum to repeal the state’s new vaccination law will appear on next year’s ballot. Supporters dropped off signatures today. The question is if they’ve collected enough. The referendum would repeal the new state law requiring every child to be vaccinated before attending school, unless they have a medical exemption. The law eliminated other exemptions for personal beliefs. Backers of the referendum have until the close of business to turn in signatures to the counties where they were collected. The counties then have 30 days to check a random sampling of the signatures to determine if the measure will appear on next year’s ballot. "Whatever the outcome is of the signatures that dozens of dedicated leaders are turning in today at county Registrar of Voter Offices across the state of California, I am proud to have served in this great cause with such great Americans."